How to Produce a World Premiere Production | Flashback Theater Co.
Rose Leigh Abbott Will Monroe was a Science Hill, Kentucky native who later went on to become Rosie the Riveter for the war bond films shown in movie theaters across the country during World War II. In neighboring Somerset, a producing theater company has partnered with playwright Amber Frangos to bring Rose’s story to the stage in the spring of 2018. Flashback Theater Co. will produce the play, Rosies: The Women Who Riveted the Nation the first two weekends of May 2018. 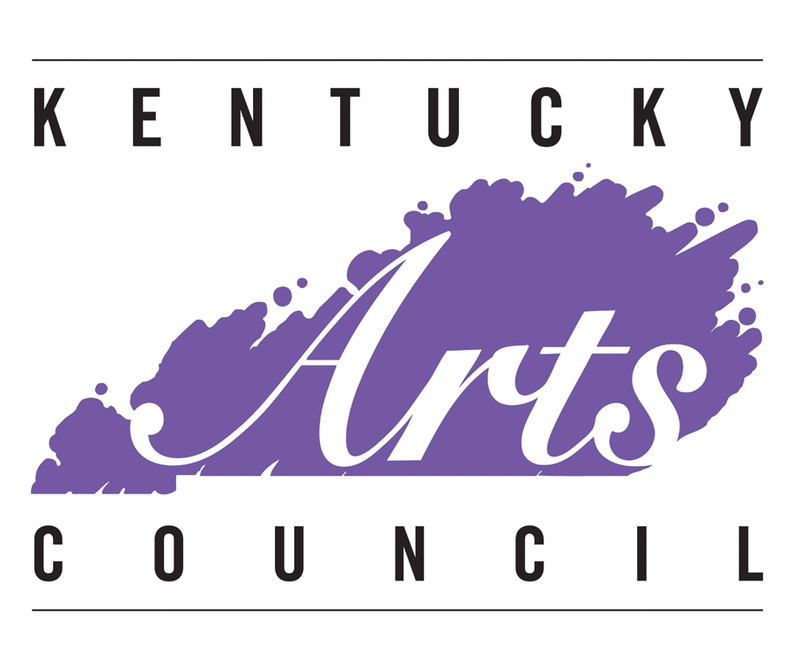 The play got its start with funding from the Kentucky Foundation for Women. A small grant of $1,000 was used to develop the play with a table reading, a workshop and a staged reading. Each part of the process shaped the script. The subject of the play began with a casual conversation between peers. Amber thought it would be interesting to research Rose’s story because she was a Kentucky native. When Amber delved into Roses’s background she soon discovered that Rose was one of many women involved in the war effort and the play took form. Amber turned in a rough draft of the play to Sommer Schoch, Producing Artistic Director of Flashback Theater in August 2016. After several revisions they both felt it was time for further development. Amber Frangos chose this story for its historical value to Kentucky but soon found her heart was connected to Rose’s story in a profound way. “When I began my research for the play, Rosies: The Women Who Riveted The Nation, I expected to gather the usual vital statistics such as birth, death, children, spouse and maybe a few interesting facts to color the script,” Amber said. What she found was that Rose and the women she worked with became an emblem for all current working women. Amber discovered that Rose was well ahead of her time, and women all across America were experiencing the same day to day struggles as working women today. The war offered a unique situation; most men left their jobs to fight and the workforce needed workers. Women stepped in to fill the gap. These women were essential in the war effort. If they did not continue production of supplies and ammunitions, we could not continue the war. In its initial stages of development, the play was headed toward being a biographical narrative of Rose Leigh Abbott. She had nine siblings and an affinity for carpentry, a skill she learned from her father. She married Clarence Abbott and had two children. Clarence was killed in a car accident and Rose was left to fend for two small children. 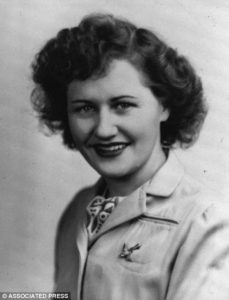 So she did what a lot of women did during 1942; she took a position at a manufacturing plant building B-24 and B-29 bombers. During her tenure at Willow Run Manufacturing plant, she was discovered by Walter Pidgeon, becoming the face of Rosie the Riveter in one of his war bond films. Mr. Pidgeon considered her name Rose and the fact that she was an actual riveter quaint and she was quickly cast in the film. After the war, Rose went on to get her pilot’s license. She owned a beauty shop, worked as a taxi driver and developed her own construction company specializing in luxury homes. 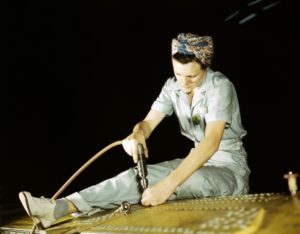 This colorized photograph shows a riveter working on top of a plane. Through the course of her research, Amber realized it was the women who worked along side Rose during the war that had a compelling story. These women worked long hours to provide the war its supplies. Rosie the Riveter was the emblem of all working women during the war. While Rose Monroe was, and is still, an important icon of our culture; it was the unnamed women who trudged to work daily that came alive in the first outlines of the script. Amber decided that this play should be about all the women working during World War II. Their combined efforts should be recognized as each woman was a Rosie in their own right. These women had to tend the home and work, which is a very real contemporary issue for working women today. The difference from today is that these women had to rely solely on other women because the majority of men were serving overseas. Amber dug in to her research to develop the technical aspects of the play. The more she researched, the more she was impressed with how these women were able to assemble the fuselage of B-24s and B-29s. These women produced finished planes that were used to fight in WWII. Amber wants Rosies’s message to ring loud and clear to working women today that they can do anything with the support of each other. Rosies: The Women Who Riveted The Nation is a glimpse into the lives of such women. Coworkers standing side by side, day after day, year after year working toward the war effort to bring their loved ones home. Rosies became a collaborative effort in the spring of 2017 thanks to a grant by the Kentucky Foundation for Women. Sommer Schoch, Producing Artistic Director of Flashback Theater asked Amber to partner on the grant proposal for Rosies. The proposal laid out the timeline for the collaboration, including review and feedback from the director’s viewpoint. Sommer provided this feedback, and helped Amber to refine plot elements, character development, and technical aspects of the staging. Flashback Theater provided the talent to workshop the play in July 2017 by utilzing the Let’s Play! Company. Let’s Play! is Flashback Theater’s education and outreach department, providing theater talent with opportunities to develop their skills and abilities. The Rosies workshop not only gave Amber a chance to see her drafted script come to life, but allowed local talent an opportunity to work side by side with a playwright and director on a new work. The actors involved in the workshop became an important element in the final draft of Rosies. The hours long daily process honed each character to their fullest development, and resulted in a script that was fully fleshed out and ready for production. This emphasis on collaboration is something Flashback Theater holds dear. Flashback views the artistic process as a collaborative process; emphasizing the importance of respect and appreciation for each member of a production team. When Rose Leigh Abbott left her hometown of Science Hill, Kentucky to join the war effort, she never expected to become an iconic image for working women across the nation. This world premiere play is a celebration of women coming together to overcome their doubts and fears in the face of war. Thursday, May 3 at 7:30 p.m.
Saturday, May 5 at 7:30 p.m.
Sunday, May 6 at 2:30 p.m.
*Thursday, May 10 at 7:30 p.m.
*Saturday, May 12 at 2:30 p.m.
Saturday, May 12 at 7:30 p.m.
Sunday, May 13 at 2:30 p.m.
Tickets are on sale at www.flashbacktheater.co/rosies. All seating will be assigned at time of ticket purchase. Flashback Theater would like to thank Applied Behavioral Advancements, LLC for their Season Sponsorship and Somerset-Pulaski Morning Rotary Club, International Paranormal Museum and Research Center, and WYKY 106.1 FM and WTLO 1480 AM/97.7 FM for their sponsorship of this production.